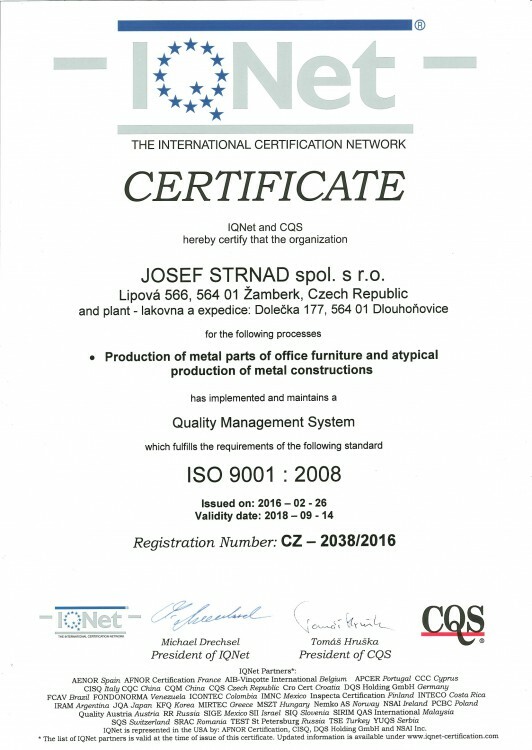 The company Josef Strnad spol. s r.o. has been certified to ISO by accredited certification body IQ Net and SQS since 2004. The latest recertification according to ISO 9001: 2009 took place in February 2016.